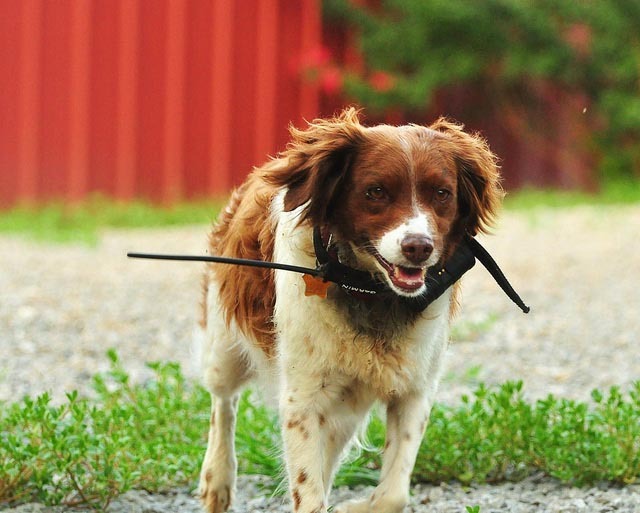 Why use a GPS tracking system for your dogs? The thought of losing our best friend is a worst nightmare for caring dog owners. Microchipping is fantastic and necessary, but it won’t help you to find a lost dog nor will it be of any use if you’re someone who lets your dog run off the leash and you want to be able to know his or her whereabouts at all times. Being able to track exactly where your dog is at all times through GPS technology can provide peace of mind that was never available in the past. A GPS dog collar makes this all possible and affordable. These collars are ideal for dogs who regularly run off leash (and out of sight). But it’s also for people who just like the comfort of knowing where their dog is any time, anywhere. GPS dog devices are regularly used on hunting dogs where their owners want the peace of mind in knowing exactly where their dogs, which direction they’re moving, when they’ve stopped, and a range of other metrics. But no matter what your reason for wanting to take advantage of GPS tracking, finding the right product (at the right price) means comparing what’s out there and which one has the most benefits for your personal needs. 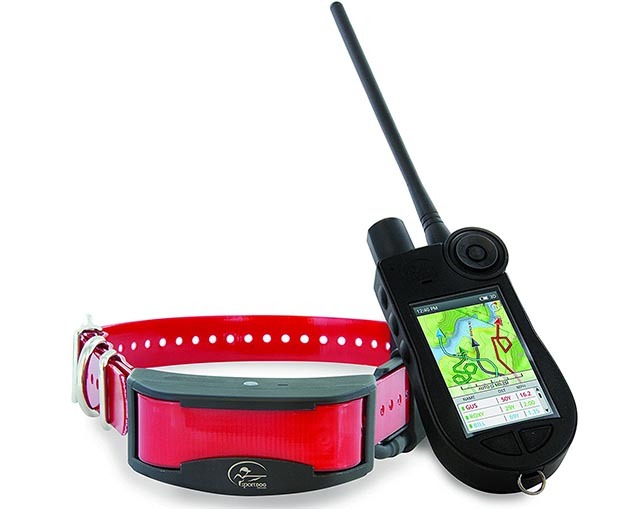 A collar with inbuilt GPS is one option for taking advantage of this technology. That’s what I’ll be focusing on in this article. 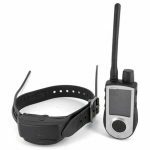 This sort of device makes it easy and practical to track your dogs movements because you don’t have to worry about a separate GPS device; it’s all just there in the collar ready to go. There’s lots to think about when you’re looking for a good tracking GPS tracker, whether it’s for one pet dog or a whole pack. Your requirements will depend on how many dogs you need to track, the purpose of your outings, how far away you expect your dog to go, how long you’ll be out in the field in total, and any other preferences and needs you might have. Your budget will also be a factor, obviously. Low end trackers are available (and reviewed in this guide); just don’t expect the features and capabilities of the professional quality units. 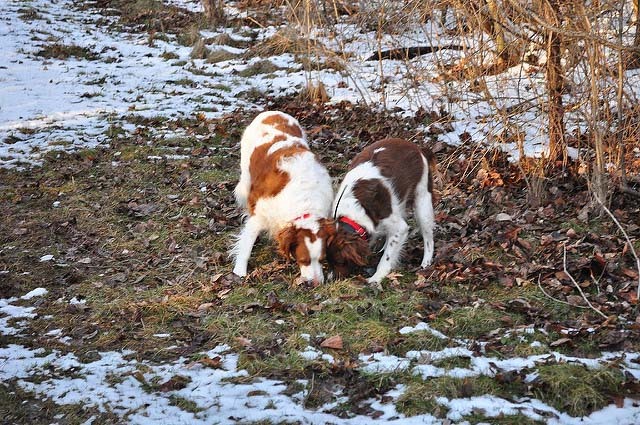 Range: How far away can your dogs go while you track them? Connectivity type: Do you need to connect with a data service provider or not? Some systems require a SIM card and ongoing costs, while others are ready to go with no further charges. Waterproof? If your dog gets wet in the rain or jumps in water, will the GPS tracker still work? How many dogs? Many trackers allow you to keep track of more than one dog using the one device. Smartphone app? Is there an app for the system or do they provide a handheld device? Features: Besides basic tracking, what other features are available? Consider things like communication with your dog via commands, path tracking, boundary zones, statistics and so on. Battery life: How long will the system operate on one charge? If you spend a lot of time out in the field with your dog, this will be a concern to keep in mind when choosing the right product. Price: From low cost up to the most expensive units, your upfront costs include the gps unit itself, a collar (usually included) and either a handheld device or the requirements to use a smartphone app to control the tracker and access its features. Some lower cost (and lesser featured) products require a SIM card or service provider fees, so keep this in mind when evaluating whether it’s worth saving money upfront if you’re going to have ongoing costs. Garmin is one of the biggest names in the GPS world, so expectations are high that they can deliver a quality GPS tracking product for dogs in the same way as they do with their excellent range of products for people. And the T5 doesn’t disappoint. Priced reasonably in the middle of the range (keep in mind that you do need a handheld tracker to go with it; see further down in this review), it gives you all the necessities and nothing you won’t need. 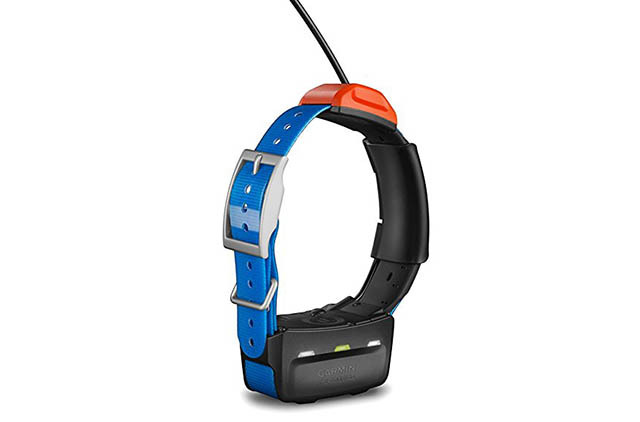 This collar makes use of GLONASS technology. If you don’t know what that is – here’s a quick run down. It’s a technology that you’ll find in higher end devices from Garmin and a few other brands that make GPS equipment such as sports watches and hiking devices. This is good news. It means Garmin is serious about making this collar top quality by using their very best tech. GLONASS, when combined with regular GPS, provides a more accurate tracking and location ability. With a a range of up to 9 miles, the T5 provides exceptional tracking potential for your dog. He can be well out of your sight and you’ll still be easily able to know of his whereabouts. The orange device on the collar with attached antenna is the high sensitivity GPS/GLONASS receiver. It is made to be lightweight and unobtrusive for your dog when worn. GLONASS does use up a little more battery power than if GPS is used alone. The Garmin T5 has an expected battery life of anywhere between 20 and 40 hours, depending on how you use it. Even at the lower level of 20 hours, this will more than cover the needs of most people. It’s a rechargeable Lithium-ion battery so there are no ongoing costs. Also fitted to the collar are LED lights which are visible up to a 100 yard distance at night and in low light. The Garmin collar has a water resistance to about 32ft (10m). The number of dogs you can track will depend on which handheld tracker you use with the collar. The Astro 320 lets you track up to ten dogs simultaneously, and the Astro 430 has capacity for tracking 20 dogs at once. Each dog must of course be wearing their own T5 collar. Provided is a quality collar that is a comfortable 1 inch in thickness. Separate collars (available in multiple colors) are also able to be bought. It’s suitable for medium to large dogs with a minimum neck size of 9.5″ or 24cm. The total weight of entire unit is 9.3 oz (or 265g). Garmin have done well to design such a solid looking, high quality tracking collar while retaining such a light weight that won’t weigh a dog down. The collar is half of what you need to track your dog with the Garmin system. You’ll also need one of their Astro or Alpha handheld transmitter units in order to complete the system. The T5 is compatible with the Garmin Astro 320, Astro 430 and the Alpha 100 handheld units. These units let you track multiple dogs (each model varies as to how many) and contain the mapping and other metrics that you’ll need to access while you’re dog is wearing the GPS collar. All three units can be bought separately, or you can purchase one in a bundle with a T5 collar. Note that the older Garmin Astro 220 has been discontinued so is no longer available new. The 320 replaces that older model. The Astro 320 can be bought on its own. You can also get it combined with the T5 collar in a bundle pack. The Astro 430 can also be bought individually or in a combo pack with the T5 collar. The Alpha 300 is not available in a combination pack with the T5 collar. This is the GPS tracking device for the smaller dogs. Designed not to weigh them down or restrict movement, while still giving you the same features and abilities of the larger units. It weighs only 7.5 ounces, and the collar fits dogs with a neck size of up to 9.5″. If your dog has a smaller neck and there’s a lot of collar left after you’ve comfortable fit it, the end of the collar is easily cut off so it doesn’t get in the way. The SportDog TEK GPS systems for dogs are highly regarded for good reason. They are top of the range and contain basically every feature you could need. They are more suited to people with multiple dogs or for those with more complex requirements than a single dog that runs off leash occasionally (although it can certainly be used for that). 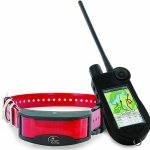 Hunting dogs, search and rescue, and other situations where multiple dogs need tracking are where these systems shine. There are 2 models that I look at here: the older 1.0 and the latest 2.0 system. As you will see and as you’d expect, the newer version does provide some clear benefits, but that doesn’t mean you should disregard the older product. It comes down to what features you need and want, how you plan to use it, and what your budget is. This comparison table shows you the most notable differences between the two models, with the newer TEK 2.0 having an obvious advantage in almost all areas. That’s not to say that the 1.0 is not an excellent product – it is. However those with more complex or advanced requirements are likely to look at the 2.0 and in particular, it’s topographic maps, as having a distinct advantage in comparison to the older product. Two units that people often have difficulty deciding between are the SportDog Tek 2.0 and the Garmin Alpha 100. What are the differences between these two products, and which one should you choose – any why? Let’s look at the main stats of each: The SportDog Tek 2.0 has maximum working range of 10 miles, can be used to monitor up to 21 dogs wearing tracking collars, has a battery life of up to 24 hours, and comes equipped with color topo maps that are updated for free. The Alpha 100 handheld unit from Garmin has a 3″ touchscreen interface that functions while you’re wearing gloves, can be used to track up to 10 dogs, has a range of up to 9 miles, and comes loaded with a basic Topo 100K map. This system is made for use only in the USA. With a range of 7 miles, the TEK 1.0 has a smaller range than the Garmin system. But it also has some appealing features that might make you consider this brand over the Garmin or one of the other GPS collars available. There’s no subscription or other extras required to use the SportDog GPS collar. It’s all inbuilt so it’s all ready to go. This is an older system and doesn’t have the better technology of the TEK 2.0. On the 1.0 you have a screen that displays simple arrow indicators about your dog(s) location and direction of movement. There is no tracking path recorded like on the more modern GPS trackers. You can however mark waypoints if you want a record of where the dog has gone. You can activate a vibration, tone or static signal from the handheld receiver to the dog at any time, and a trained dog can use this as a notification to return to you. Many people choose to use a dog whistle instead though; it simply depends upon how you’ve trained your dog. The GPS functionality on the SportDog tracking systems provide excellent accuracy and will work well anywhere that you can pick up a GPS satellite signal which is just about everywhere in the US. There is no boundary functionality with the 1.0 (the 2.0 system does have this feature). It’s a lightweight unit so it won’t interfere with the dog’s movement and flexibility. The handheld device is easy and comfortable to hold and provide a nice quality LCD screen that is backlit. The view of the area that you can see on the screen covers 75 miles in diameter. Be submersed in up to 25 feet of water and still function perfectly and without damage (that’s for the collar and GPS unit, while the handheld device can handle being under 5 feet of water). Alert and train your dog using a choice of commands: vibration, stimulation or tone. There are 100 levels of simulation so you can customize your preference down to a very specific level according to what works well with your dog and your training style. The updated 2.0 system from SportDog covers a 10 mile distance range, giving you an extra 3 miles compared to the 7 mile range of the TEK 1.0. It can be used on up to 21 dogs making it one of the most expandable GPS trackers available and suited to those with more advanced requirements. Each dog will of course need its own collar. The collar itself is waterproof in up to 25 feet of water, while the handheld device can handle up to 5 feet of being submersed in water. This is about the only area that the 1.0 TEK system equals the 2.0. You’ll get up to 24 hours of use out of the collar on one battery charge. Rechargeable batteries and charger are included. 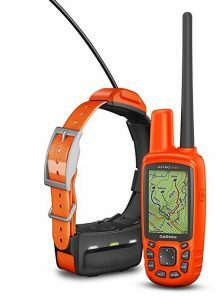 Certainly one of then most impressive features of this 2.0 system vs 1.0 are the inbuilt color topography maps at 1:100,000 which provide you with excellent detail and information about the location of your dogs. You get free lifetime updates with the maps. The TEK 1.0, as mentioned, does not contain any maps or topography information, instead relying simply on directional arrows. This puts the 2.0 in a completely different class at the high end of dog GPS tracking systems. The TEK 2.0 is clearly superior to the 1.0 in all aspects, features and capabilities. 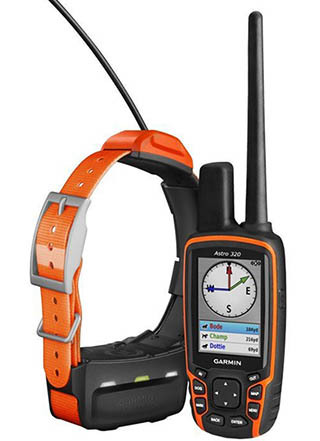 Unlike the Garmin system which requires a separate handheld device to connect to the collar, the Link AKC works via a smartphone app. So your only financial outlay is for the collar itself, and a monthly fee that starts at $6.95 per month for the Link AKC service. The Link AKC is available in 4 sizes from small to extra large. The minimum weight of a dog that should use this collar is 15 pounds. An interesting offer that comes with this product is the Puppy Guarantee. If you buy one of the collars for a puppy, the company lets you exchange it for free for a bigger size as your dog gets older. The supplied collar is made of quality leather. 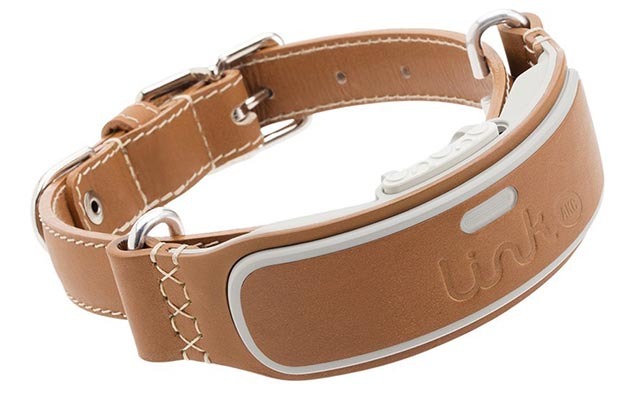 The tracking unit is attached to the collar, but you don’t have to use the Link collar if you don’t want because the tracker can be attached to almost any other regular dog collar. Also included is a charger and base station in one, which lets you easily charge the tracker plus connect your phone to the charger via the USB port. If you have more than one dog, you can simply link up all of their individual collars to the app. The maximum limit is 10 dogs being tracked within the smartphone app. The tracking collar connects to the app on your smartphone with Bluetooth when you’re close enough (so always make sure your bluetooth is activated on your phone). When your dog is further away from you, the connection is made through the cloud network of Link AKC. The app itself is a big part of this product. It’s more than just a tracking facility because it has a whole host of features and settings you can access. I particularly like the activity level monitoring, which is great for dogs who you’re trying to get more active and keep track of how much exercise they’re actually getting. There is of course the location tracking feature of the app that you’ll get a lot of use out of, but another interesting feature is the temperature setting where you can set up an alert if the environment your dog is in reaches too high or to low of a temperature that you’ve set. Additionally, you can switch a light on the collar remotely from the smartphone app so you can easily locate your dog at night. This is a low budget option for those with basic tracking needs and who just want to give it a go on occasions. You are paying for the tracking unit, although a simple collar is provided. It’s not of the same quality standard as you’ll see with the other tracking products in this guide. 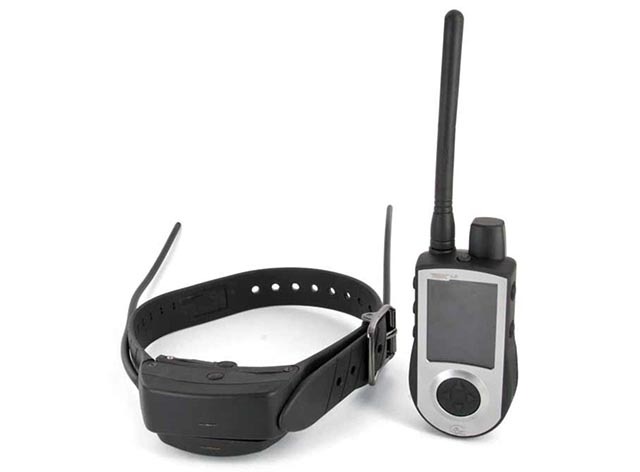 You can also choose to attach the GPS device to your dog’s existing collar. 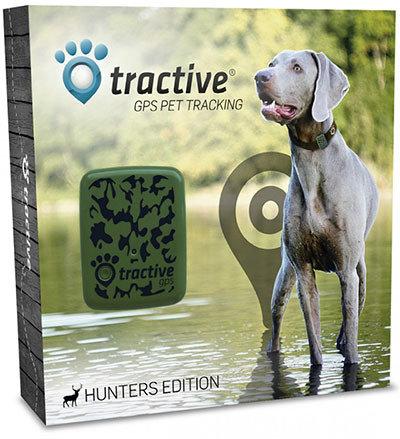 The GPS functionality works in a simple way, by showing you the location in real time of where your dog is. However, it requires the use of a SIM card which you need to buy separately and pay the charges on. A lot of people find this inconvenient, but it all comes down to whether you want to spend less on this tracker and use a SIM with monthly costs or a prepaid fee, or take a more expensive approach up front with a higher priced product which have the benefits of being more convenient to use. Overall, the TriStar Mini GPS provides a low budget choice, however this is negated somewhat over time by the fact that you also need to purchase and maintain the costs of a SIM card in order for the system to work. The product has been met with a lukewarm opinion by most customers, with many concerned at the fact that it was too complicated to set the system up and use it. Because it relies on cell phone signal, the TriStar does not provide either the accuracy or reliability of a true GPS unit like the SportDog or Garmin products. The TriStar system can be useful in urban areas where good signal is present, however is unlikely to meet the needs of those who are in more rural or wild locations where a good and useful signal is unlikely to be found. 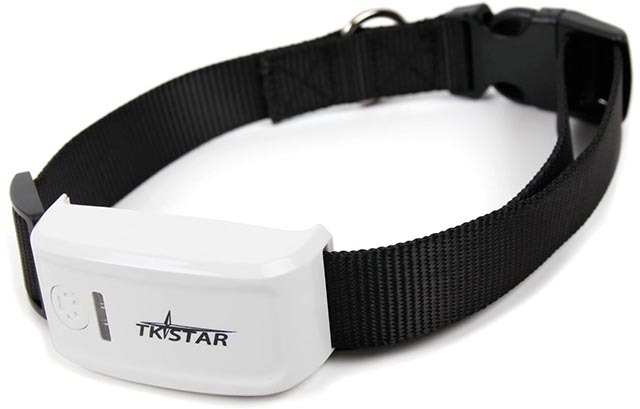 This GPS tracking device comes with attachments which you use to attach to your dog’s existing collar. 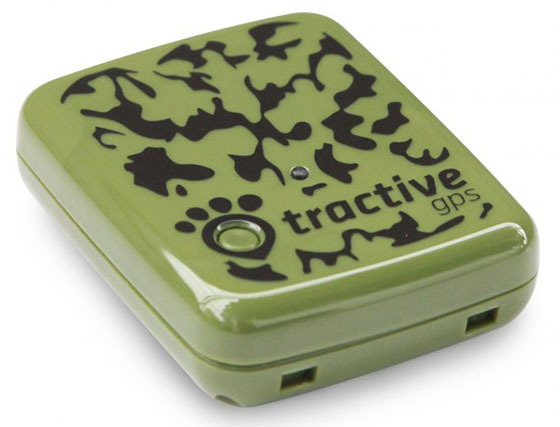 Tractive are a leading brand in the GPS pet tracking market, and this system is an affordable alternative compared with the higher cost options above, and it’s well suited for most pet owners. How it works: Tractive uses an inbuilt SIM card and the local cell phone network to send data to the Tractive app so you can track your dog. So for it to work, you will need to be within range of one of the compatible networks (which is most of the major ones) in order for the live tracking data to be sent to your phone. Most of the USA is covered (as long as you have cell phone coverage), and it can also be used in many other countries via their mobile phone networks. Put simply, the company says that the Tractive system works wherever your cell phone works. Live Tracking Mode lets you view a path of your dog’s movements, including the direction he’s currently going. You can do this either through the Tractive app, or on the internet in real time. You can set up alerts to let you know if your dog has moved outside of an area that you’ve designated as a “safe zone”. This is like setting up a virtual invisible fence (although it obviously won’t stop your dog from escaping the boundary, but you’ll know as soon as he does). The alert gets sent straight to your phone as soon as your dog leaves the safe area. This is a very useful feature in a lot of situations, for example if your dog is hanging out in the yard unsupervised and you want to know immediately if he’s jumped the fence or somehow made his way into the neighbor’s property. This feature gives an extra layer of peace of mind and is an excellent inclusion in this product. There are no extra costs relating to getting alerts either, so you can use it as much as you want without any concerns. 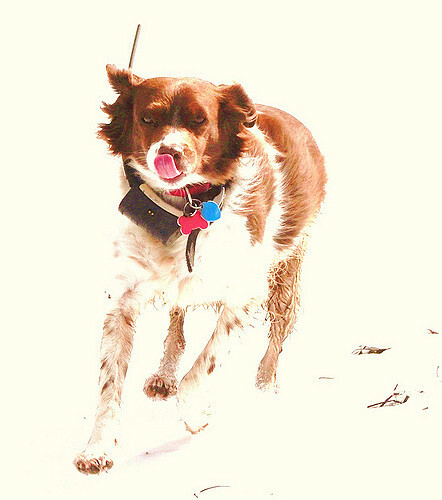 You need coverage with T-Mobile or other compatible network to use the Tractive pet tracker. $5 minimum monthly service fee (which can also be paid annually). There’s no contract or lock in commitment and you can cancel the service at any time. The company has two plans to choose from: Basic and Premium. Both give you access to GPS and Live Tracking. The Premium plan (which only costs slightly extra) gives you access to quite a few more features like unlimited history of your dog’s positions, worldwide coverage availability instead of just one country (useful for travellers), exporting your data to Google Earth format and other files, and premium customer service access. Which plan is best for you? The price difference is negligible and Premium does offer clear benefits especially if you want to store your tracking data on your computer. The Basic plan is just fine for people who want the basic functions of tracking. The mobile app is free and lets you track your animal in real time. Android, iPhone and Windows phones are all compatible. Note that you do not need to have a smartphone to use the Tractive device. It can also be operated through a web browser. Obviously however, you won’t be able to get the alerts on your phone relating to your dog moving outside a boundary if you choose to operate the tracking system solely from your computer. You can even put one of these devices on your cats, horse or any other pet, so it’s not just for dogs. The device itself has a small light built into it, so if you need to find your dog in the dark you can activate the light to increase visibility. The battery life of the Tractive device can range anywhere between 2 and 5 days, depending on how heavy your usage is and on the quality of the network coverage. Even at the minimum battery life of 2 days, this is generally more than enough for the majority of people’s needs. If you’ve purchased the Premium service plan of the Tractive GPS, then you get access to what they call their Premium customer service, which means that you receive a response for any queries on weekdays within 24 hours. The Basic plan doesn’t provide this access, although you can of course still contact the company with any questions or concerns (you might just have to wait a little longer for a response). For most people, this customer service offer probably won’t be the decision maker when it comes to choosing which service plan you want, but it is something to be aware of. The Tractive GPS is a cost effective pet tracking option that suits most dog owners who just want to be able to keep updated on the whereabouts of their beloved canine.